Theres something about a fresh drink and a cute note pad that makes me happy. 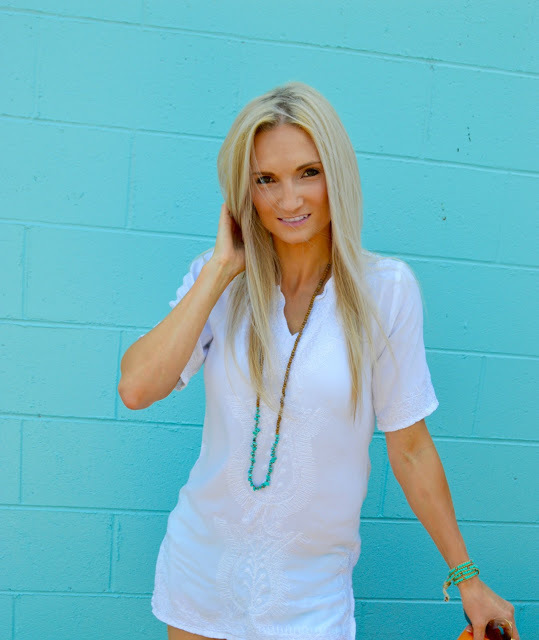 I'm all about about schedules, routines, and prioritizing. It helps me feel so much more productive throughout the day. When I don't have a list of things I want/need to do, by the end of the day I feel like I wasted it. 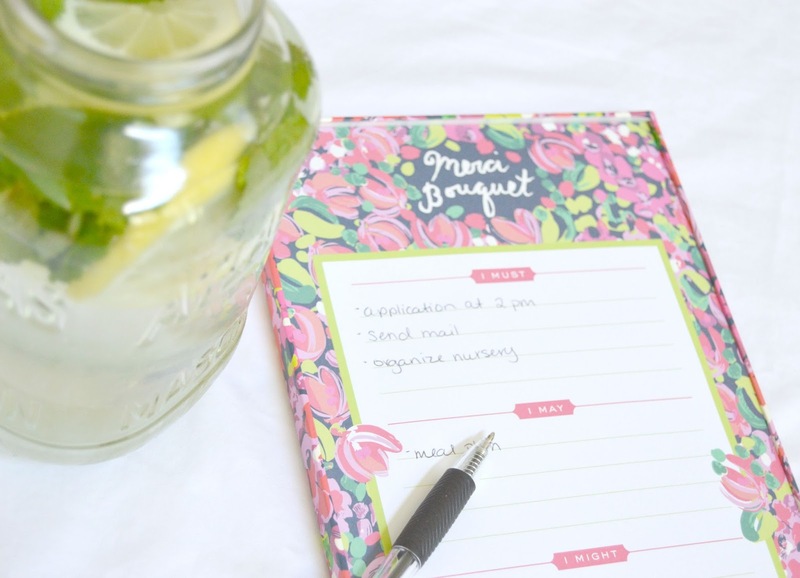 Being on a newborn schedule, it's especially important for me to plan ahead and know what needs to be done.The Merci Bouquet to do list by Lilly Pulitzer is absolutely PERFECT for me for this reason. I love the I Must, I May, and I Might sections to prioritize. You can get yours HERE. Losing this last bit of baby weight, I've been really trying to watch what I eat and just get out any junk that's lingering in my system. I've had a pitcher of this detox water in my fridge the past couple days and it's been amazing! There are so many health benefits in all theses ingredients....It doesn't hurt that it tastes great too!! * Combine everything in a large pitcher and let sit overnight to fully infuse. 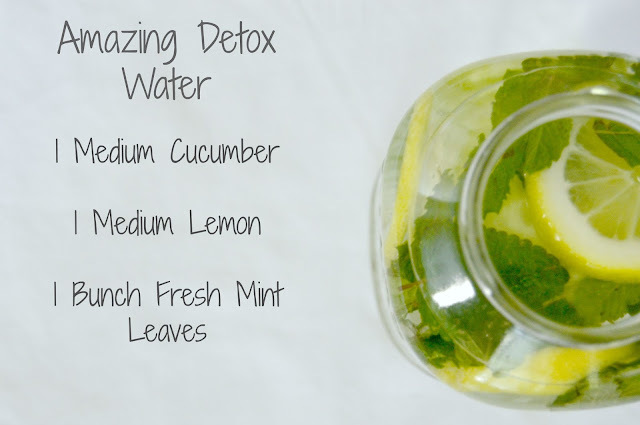 What are some of your favorite ways to detox? I would love to learn any new recipes or ideas!!!! This looks and sounds so refreshing! We're going to have to try this soon!